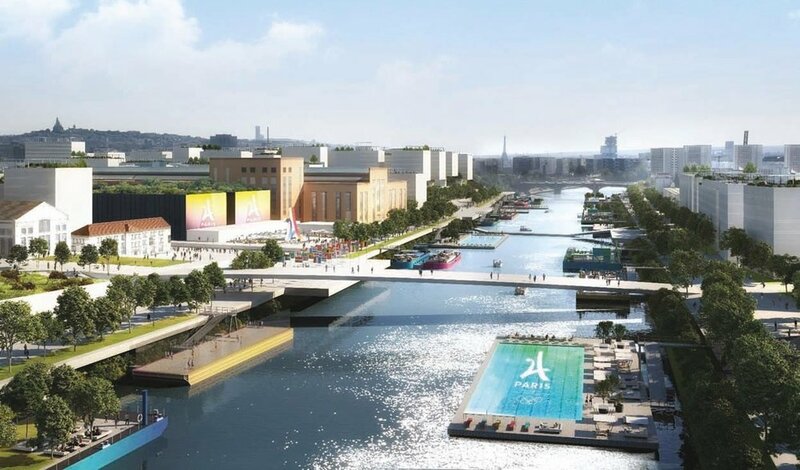 The Olympic Village designed for the Paris 2024 Olympic and Paralympic Games is conceived as an open and innovative metropolitan village with a capacity of 17,000. 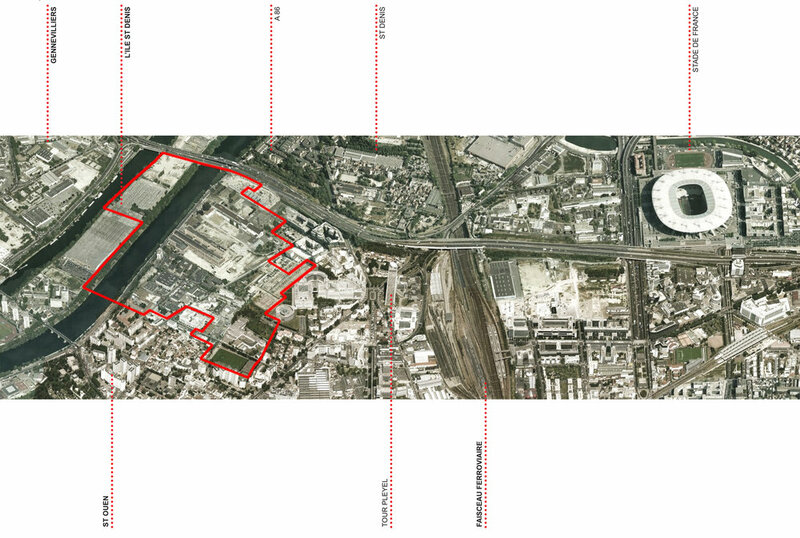 The site is located close to other competition sites and traverses three municipalities (Saint-Ouen, Saint-Denis, and Saint-Denis Island). Working with Dominique Perrault Architecture and Fabrique de la Ville, Gustafson Porter + Bowman have led the concept design for the landscape, which aims to be as verdant as possible whilst celebrating the relationship to water and enhancing the ecology and biodiversity of the site. Within a masterplan that defines a series of open spaces with diverse characters, linear connections from the Rue de Ampere to the river are reinforced, creating a series of linear ‘finger parks’ that draw the landscape of the river in to the new quarter. Altogether the landscape design for the site unites the disparate set of buildings and includes a central garden and axis running through the site to the river. Covering 51ha, the design allows for the conversion of residential stock to housing and the removal or conversion of other installations such as swimming pools, floating terraces on the Seine, and other associated temporary architecture.